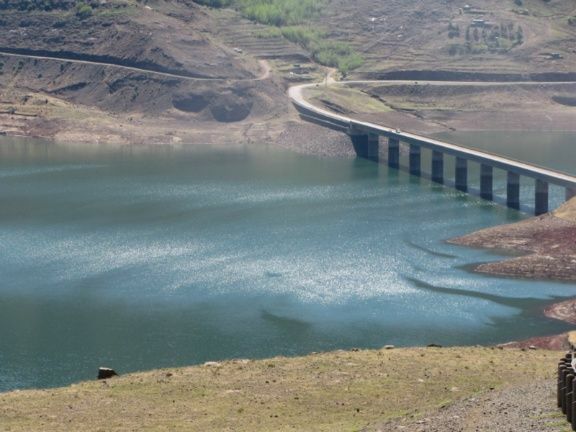 The Katse Dam, built high in the Maluti Mountains and named after a revered man who once lived at the site, is at the heart of the Lesotho Highlands Water Project. 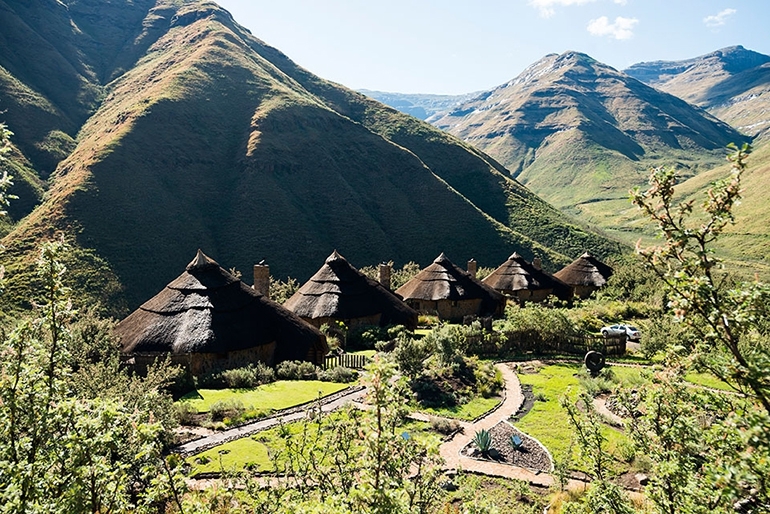 This is the land of the “blanket people”, who ride their sturdy ponies, build picturesque houses and greet visitors with a dignified salute (Go Lesotho; 2014) . 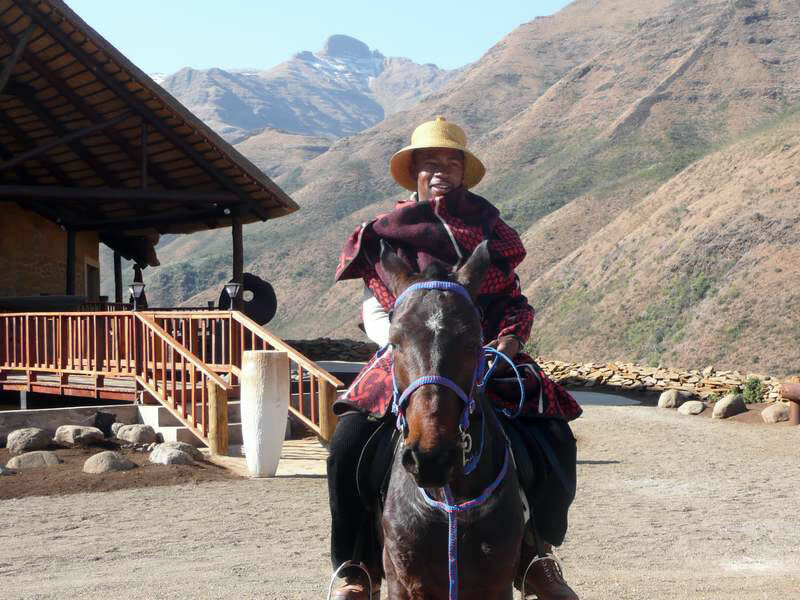 Basotho pony and rider at Maliba Lodge, Lesotho. 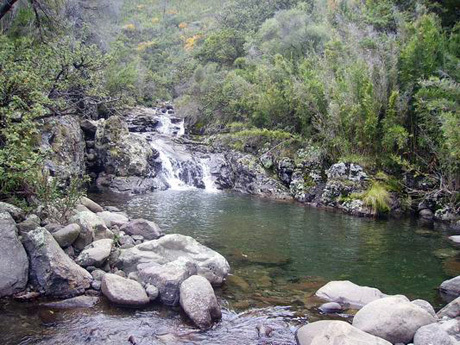 All the major rivers of landlocked Lesotho are well-stocked with the finest trout, and with the exception of the Tugela, flow west into the Atlantic Ocean. 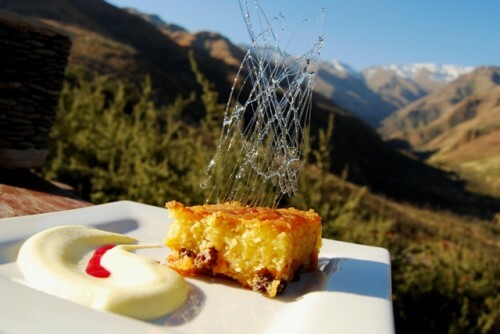 (The Orange River starts as the Senqu River near Cathedral Peak). The Lesotho Highlands Water Project has changed all this, with water now being diverted north by gravity (Go Lesotho; 2014). On the way to Katse the road passes the intake tower near Ha Lejone from where the crystal-clear water starts its long journey, at 18 cubic metres per second, encased in the 82-kilometre tunnel through basalt, sandstone and under six rivers, and through turbines at Muela (Go Lesotho; 2014). 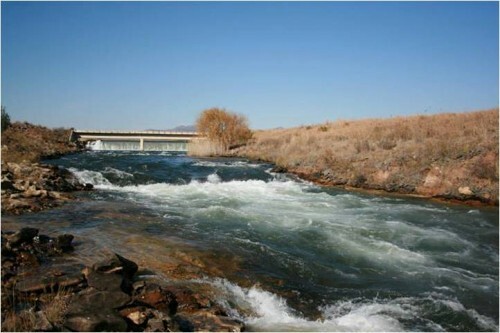 It eventually tumbles into the Ash River, between Clarens and Bethlehem, then into the Liebenbergs Vlei River, which joins the Wilge River near Frankfort before finally reaching the Vaal Dam. Five massive T.B.Ms (tunnel boring machines) were used in the construction phase. 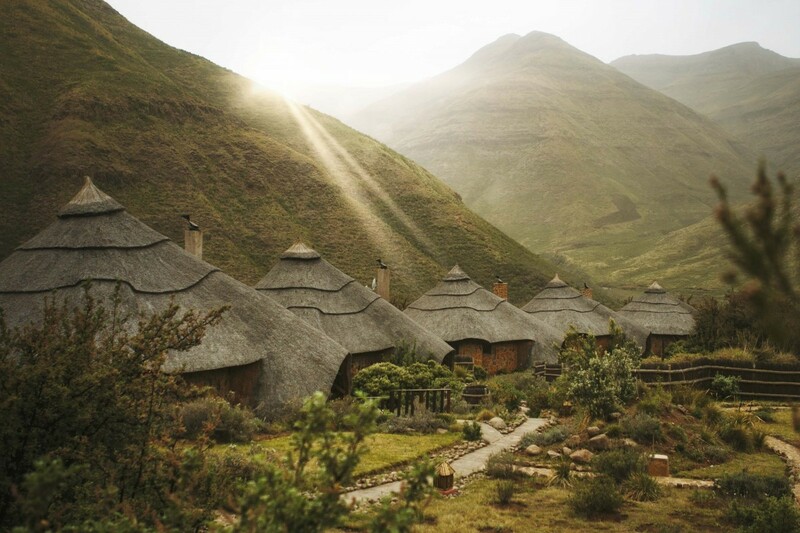 They were introduced into the mountains through six additions (Go Lesotho; 2014). Future phases are planned to increase the supply to 70 cubic metres per second. The bridge near the intake tower has also received acclaim, rising 90 metres above the bed of the Malibamatso River. (Incidentally, this is one of the few straight stretches of road). The scheme attracted worldwide attention for its concept, its magnitude and for the engineering feats involved, not least of which is the fully tarred, 150-kilometre access road from Ficksburg. It traverses three magnificent passes, the highest being, the 3,090 metre high Mafika Lisiu Pass (Go Lesotho; 2014). 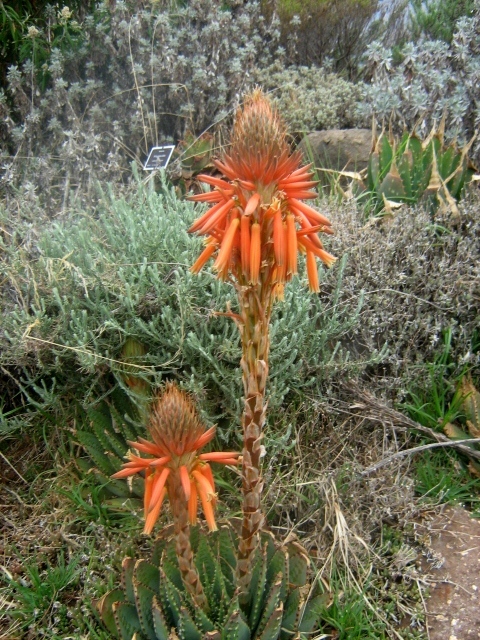 The flora, bird life and photographic beauty of the area will astound, as will the winter snow, which has no equal in Southern Africa.The statistics are startling indeed. 687,000 tons of cement and fly-ash were hauled from Ficksburg by a fleet of 26 trucks which covered in excess of 7.2 million kilometres. The double curvature, arch dam is 185 metres high, (the highest in Africa and 50% higher than Kariba), with a crest length of 710 metres. The aggregate and fines used were crushed on site from the basalt rock (Go Lesotho; 2014). All major critical components of concrete manufacture were duplicated, including the ice plant used in summer for cooling the curing concrete, the steam plant for winter, the batching plant (with dual computer systems ), and the two Blondin cableway cranes, used to deliver the concrete day and night at a rate of 6,000 cubic metres per 20 hour shift. A further dam at Mohale, together with a small weir on the Matsoku River, has virtually doubled the capacity of Katse. Mohale is accessible through Maseru on another magnificent road. A 45-kilometre tunnel to Katse will connect it. The well- maintained road allows access to the exquisite vista, but extreme caution is necessary to deal with the steep climbs and sharp curves. A normal saloon car is adequate. At the dam, there is an information centre where a model and a video of the project can be viewed (Go Lesotho; 2014). 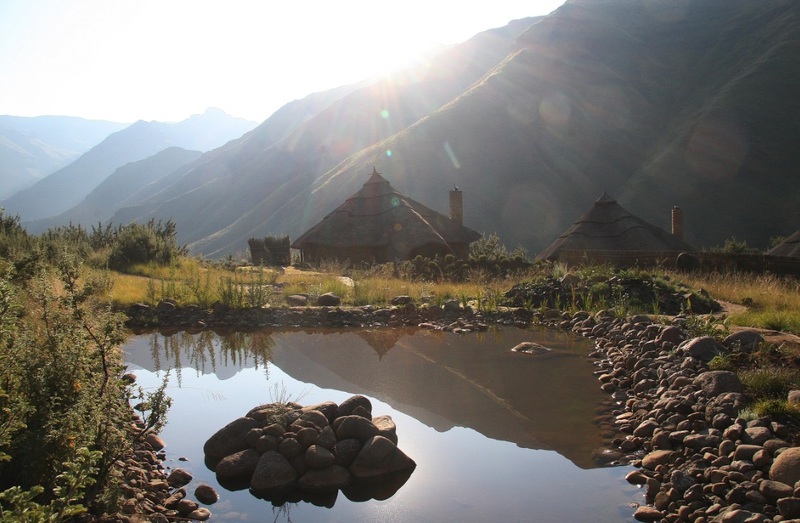 Maliba Lodge is the first and only 5-star lodge in Lesotho, Southern Africa and is located in a pristine National Park in the heart of the Mountain Kingdom. Offering both Luxury and Self-Catering Lodge Accommodation as well as catering as a Wedding Venue and Conference Venue, Maliba Lodge is the perfect holiday destination for families, groups of friends, and couples on all budgets. 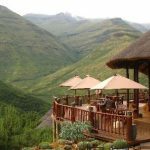 Maliba is a pleasant 4.5 hour drive from Johannesburg International Airport in Gauteng and a pleasant 6 hour drive from Durban. 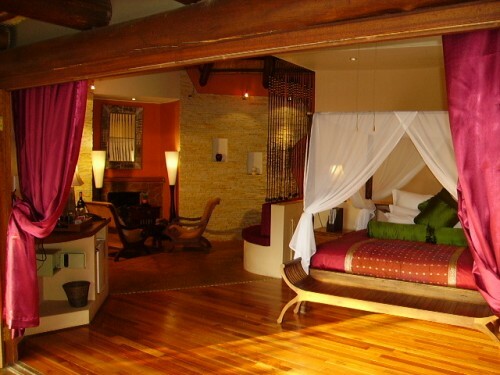 This award winning Lodge has a Spa, Bana Kids Club, 5-Star restaurant, and amazing staff that cater for your every need. Activities include hiking, horse riding, cultural / community visits, 4×4 adventures, and has other nearby attractions including Skiing (June- July). Dedicated to the local community and environment, Maliba Lodge contributes to the Maliba Community Trust which manages a number of community development and eco-friendly initiatives introduced to maximize community upliftment and minimize its environmental footprint. Full article available at: Go Lesotho. 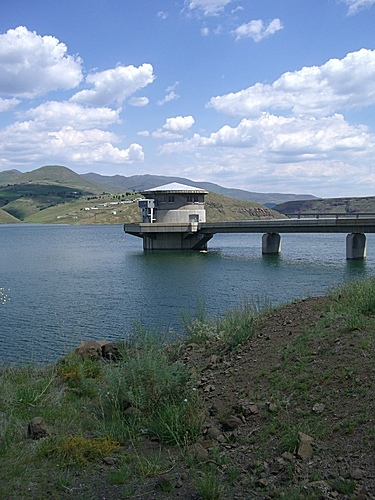 (2014) The Story Of Katse Dam, https://www.golesotho.co.za/Katse%20Dam.html. [25 Sept 2014]. All Travels. (2014) Photo : Katse Intake Tower, https://www.alltravels.com/lesotho/all-regions/ha-lejone/photos/current-photo-1184930. [25 Sept 2014]. The Spirit Of Fly Fishing. (2013)Exploring the Ash River near Clarens by Hennie Viljoen, https://www.tomsutcliffe.co.za/fly-fishing/friend-s-articles/item/765-exploring-the-ash-river-near-clarens-by-hennie-viljoen.html. [25 Sept 2014]. Trip Advisor. 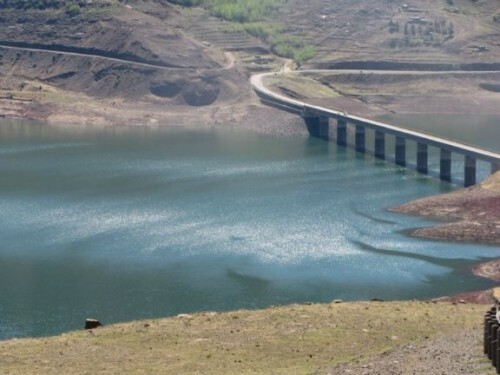 (2014)Bridge Over Katse Dam at ha Lejone, https://tripwow.tripadvisor.com/slideshow-photo/bridge-over-katse-dam-at-ha-lejone-bokong-lesotho.html?sid=125649074&fid=upload_13646351820-tpfil02aw-18537. [25 Sept 2014].